Siegfried Solomon Alweiss was born in Berlin and began a career in commerce after leaving school, then studied music before turning to art and adopting the shortened form of his name, 'Alva', in 1925. He travelled extensively in the Middle East, then following Hitler’s rise to power and increasingly anti-Semitic legislation, moved to Paris in 1933. He fled to London in 1938 and was briefly interned as an ‘enemy alien’ on the Isle of Man in 1940. 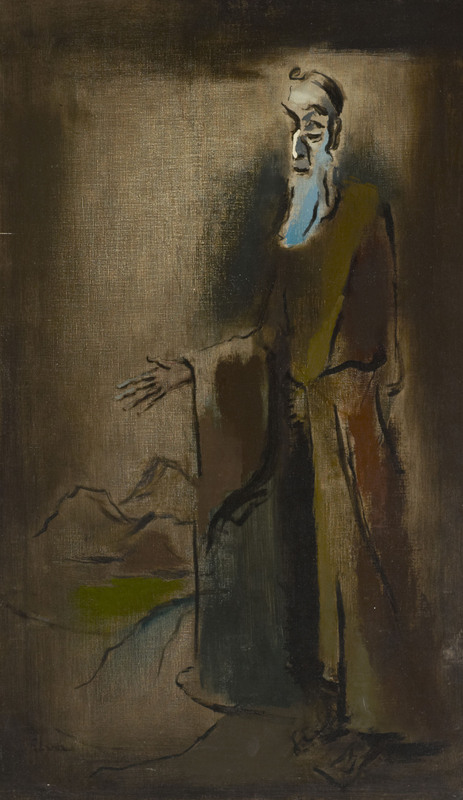 After release, Alva exhibited extensively with Ben Uri, where he also gave a lecture in November 1948 on 'The Purpose of Painting', in which he claimed inspiration from Rembrandt and Daumier among others.